Not just kids, but adults also love noodles nowadays. In Oriental cuisine, Noodles is given as much importance as Rice and is considered as a main meal option. There are several types of noodles, ranging from plain flour noodles to semolina, whole wheat flour or rice noodles. Noodles is easy to make, and so versatile that there are endless ways of preparing it. If cooked the right way, it can also be taken in the tiffin box. 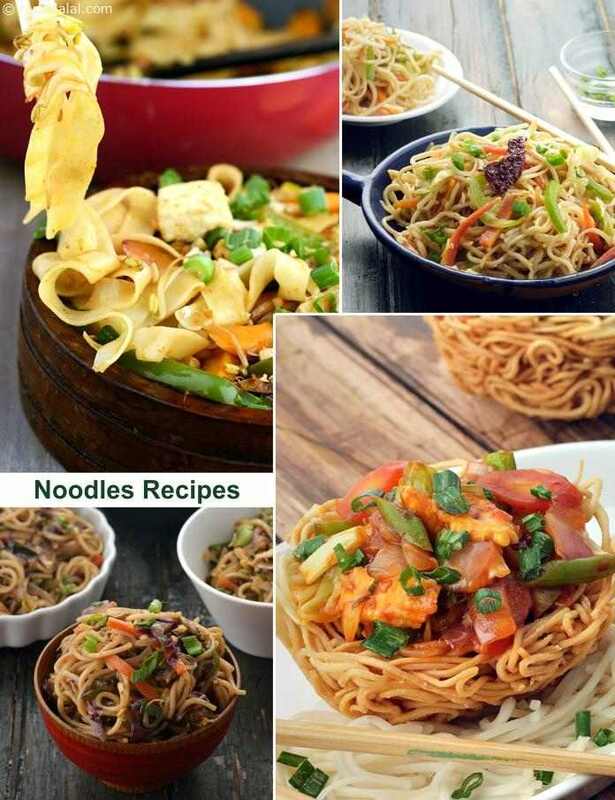 Lose yourself in the peppy charm of noodles dishes like American Chopsuey, Burmese Khowsuey, Ceylonese Curry with Rice Noodles, Hakka Noodles, Malaysian Noodles, Hakka Mushrooms with Rice Noodles, Noodle Basket with Vegetable Stir Fry, and many more.